Hello, friends! I hope you are well today. Today is my birthday, and it’s my weekend, so I am very happy. So as a present to me, could you do me a favor? This Friday Favorites is the 11th one, and I want to know what you think of it. Do you like it, do you want it to continue, what do you not like about it? It is hard for me to tell, so leave me a comment and let me know, please! I am here to inspire you to travel and bring you quality information. Also, stay tuned as I will be sending out a reader survey soon and you can tell me more about what you want to read about! Thank you so much! Airlines with the Most Legroom – This article from Conde Nast Traveler is a great guide to both American and International airlines’ leg room. This is especially useful if you are tall or on a long haul flight! Lonely Planet’s Best in Travel 2016 – These people produce my favorite guide books and every year they reveal their top choices in places to travel to. This year’s best in travel includes some places that are on my list of places to see. Botswana is #1, and it is pretty high on my list too! Seven Unknown Architectural Wonders – BBC shares with us some amazing structures. Have you been to any of these? Lost Cities: Where to Pretend to be Indiana Jones– We all know that I like to pretend to be Indiana Jones! This list includes Petra, of course, but it has some other pretty amazing lost cities to explore around the globe. 6 Things to Do If You’re Stranded at the Airport – Great tips on things to do if you have a long time to spend at the airport. My favorites are going to the spa and get a room! Any tips from you guys? Sleeping in a Fort? Fort Aguada in Goa, India – My hotel in Goa was in a fort! Read all about this Portuguese fort in India. Thank you, Cindy! I am glad you enjoying it. Thanks for reading! Happy birthday! Unfortunately I can’t travel. But the information you give here is really great for someone planing to travel. Thank you! Yes, I am just wondering if it would be better if I did Friday Favorites less and maybe focus them on a particular destination. Thanks for commenting! Happy birthday, Tiffany! I love following your travels and I feel like I’m traveling with you! I like your Friday Favorites as you give information about things I wouldn’t think of before planning a trip! Thinking of you on your BD!! Thank you Janis! I miss you guys! I am glad you like both aspects of the blog. Are you going to be in Dallas over Christmas? I arrive December 15 and would love to see you. I will send you an email! Happy Birthday! I can’t believe I forgot the almost Holloween friend and Chinese Joan. Will get on my ecards! 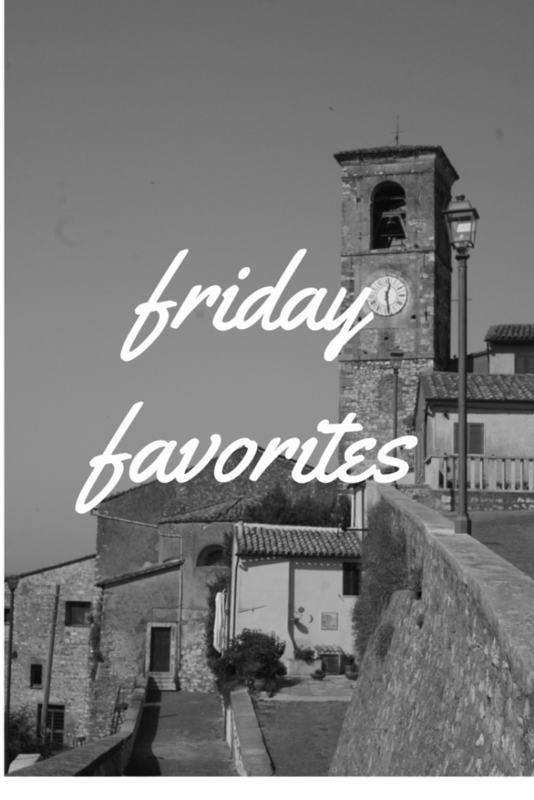 I love Friday Favorites. The pictures of Venice being invaded by cruise ships literally were scary and the simple advice to just say hello to the air personnel was priceless. The simple things are what is so important in our lives. I read all your tips and am the better traveler for it. Thank you! Thank you Jackie! I sent you an email today. Hope all is well. Been thinking a lot about Italy lately. I am thinking the vote is Friday Favorites will stay, but may have themes for the week. Talk soon! Congrats on making it another year in Qatar! And, of course Happy Birthday! Thought about you a lot this week and how proud I am of you that you’ve accomplished so much while you’ve been there. Keep it up and keep up the blog so I can live vicariously. Thank you Lacie! That means a lot. The blog isn’t going anywhere. Hope all is well with you and your Mom! Thanks JC! You should and it’s easy to do. Thanks for stopping by!